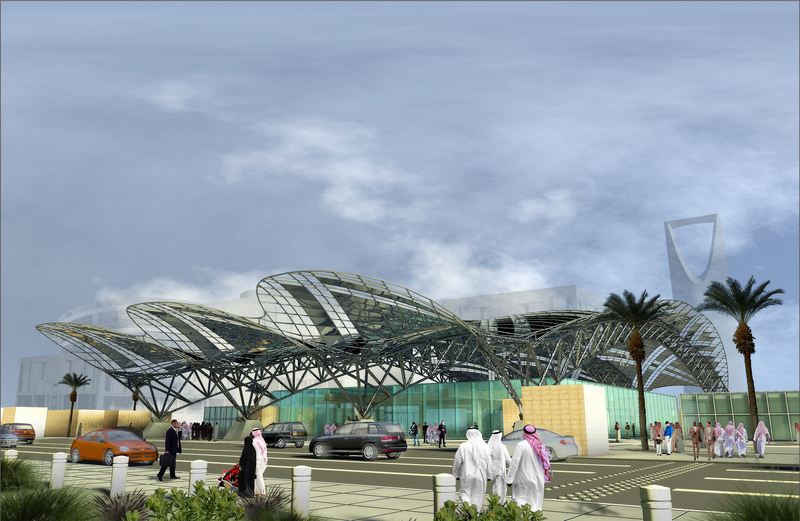 Is the new metro in Riyadh, Saudi Arabia, set to be one of the most beautiful urban transport systems in the world? It could very well be. The last time we caught up with it, Zaha Hadid Architects had produced an exceptional design for the King Abdullah Financial District Metro station. Yesterday, a consortium led by engineering, project management, and construction company Bechtel was awarded the contract to design and build two of the network’s lines (lines 1 and 2 out of a total of six). The stations look gorgeous (check out Bechtel’s photo gallery here) and will tread lightly too, being powered by renewable energy. Bechtel says, “The highly-aesthetic design reflects Riyadh’s modernity and the city’s architectural heritage.” You’re not kidding. Modern metros haven’t always had the most care and attention lavished on the way they look (surely it’s a given that they should function effectively, so why not make them attractive and desirable systems on which to travel, too?). Riyadh looks set to break the mould comprehensively, and I can’t wait for the city’s new metro to open. I would not agree, take away the curved roof and what your left with is a very generic design. I dare say it will be cheap and very functional but so common place theses days that I would not describe it as out of the ordinary and so beautiful. The curved roofs are also becoming so common these days that they are in danger of becoming ordinary. -Globalisation everywhere you go saudi, china, europe has the same architectural fashions. -CAD which should be read Computer Led Design (and may be the reason for the above). -Cost – everything is driven by cost, materials, construction, maintenance everything must be as low as possible, which I wouldn’t mind so much if they didn’t spend excessive amounts of money on lawyers and various other professionals, who add nothing to the final building. of the above CAD is the most pernicious.